Our RV'ing in Washington State south of the border is usually done in the winter so summer trips allow us to see a whole other part of the state. This incredible sight of Mt. Baker was taken on a summer evening from just west of the Guide Meridian. Mt. Baker can also be seen before you enter Washington State from the border crossing at Abbotsford, B.C. and many other parts of the Fraser Valley. Canadians get to enjoy the view as do our neighbors to the south. We’ve RV’ed thru Washington State many times going south during our winter holiday, but it is usually a very fast visit. 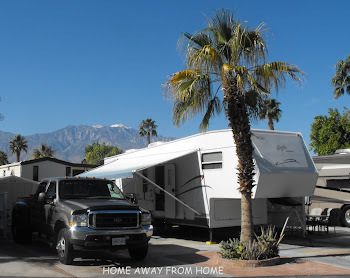 In the past, we’d had occasion to stay at the Hidden Valley RV Park and Campground on our way back home in February when we pulled in late and in the dark and left early the next morning so had no opportunities to utilize the amenities of the park. Recently the visit was for a week in June and the weather was great as was the visit with family and friends. 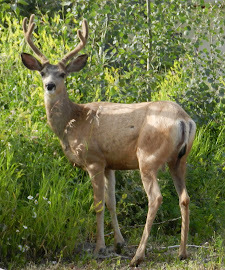 We stayed at the Hidden Valley RV Park and Campground and it looked very different from our past visit. Hidden Valley is a rural park which is nicely treed for shade and offers grassy pull through’s for the RV’s. It is open year round, which is very nice for the SnowBirds wanting to stop on their way through the area. It has a fitness center, recreation room, heated pool, mini golf and a beautiful pond with ducks paddling around and allows catch & release fishing !! It is located at 7062 Guide Meridian at Lynden, Washington, about 12 km (7 miles) north of Bellingham and is very accessible from the highway. The Guide, as it is locally called has recently gone thru a very extensive widening and upgrades between Lynden and Bellingham and makes the road much nicer. The Guide crosses with Interstate 5 at Bellingham, where the Bellis Fair is located. Great shopping in there, many Canadians find the shopping experience a good one, and we ran into old friends from home who were down enjoying the shopping. Labels: Bellingham, Hidden Valley RV park, Lyndon, Mt. Baker, Wa.